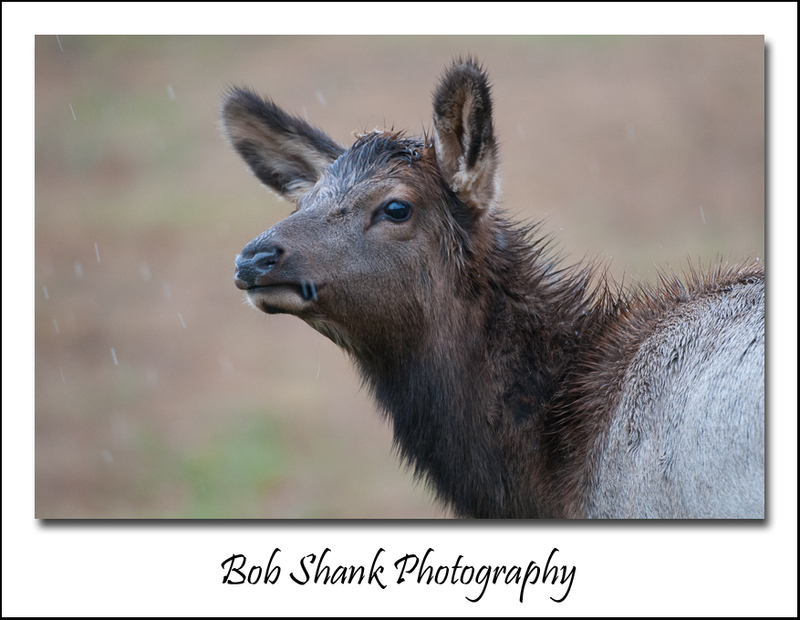 Wet Elk – Don’t be Afraid of the Rain! I traveled to the beautiful mountains of Elk County after making sure that Hurricane Sandy didn’t do any damage around our home. My departure was only delayed a day and a half due to the hurricane. The forecast didn’t look promising, but I ventured out anyway. 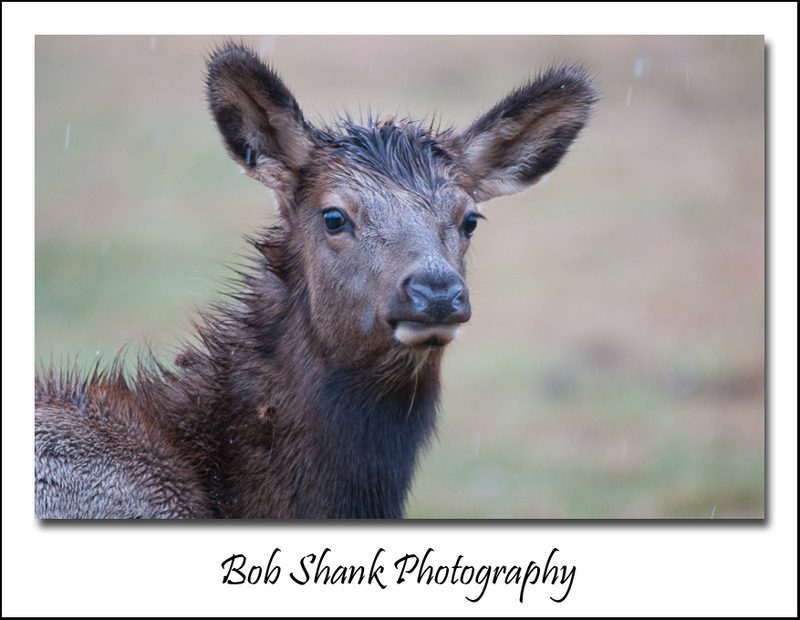 I was blessed with one of the best elk photography trips and I didn’t mind getting a little wet. Elk were everywhere, I’m assuming since the worst of the storm already passed. 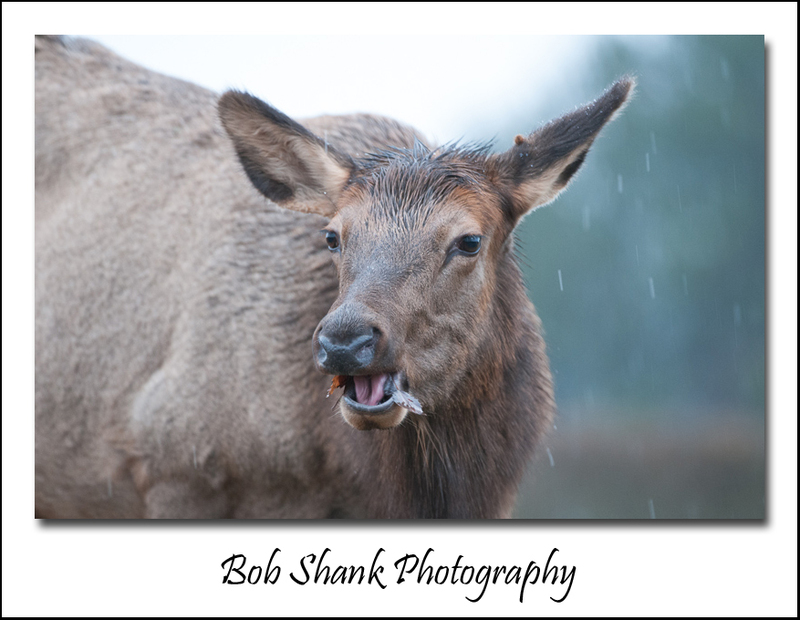 The conditions were excellent for wet elk photography! You can see some of the rain drops in most of these photographs when you click on and enlarge the photographs. I think it makes a cool effect. I also like the detail of the wet fur that comes out in these photographs. Many photographers prefer fair or sunny weather. Snow and rain can potentially damage our electronic camera gear, too, so many wildlife photographers simply don’t venture out into the wild on rainy or snowy days. I think this is a big mistake. The Nikon gear that I own is weather sealed. The manufacturer says so, but I’ve also tested this out in some severe conditions on my own. Recently, I had to walk about a mile in a heavy rain with my tripod, camera, and lens riding over my shoulder. Everything was soaked when I got back to camp! I dabbed the excess water off my gear with a towel and then allowed it to all dry out slowly. The result was some interesting and different photographs and gear that was ready and workable without any damage. This photo (above) is a case in point of what I’m talking about with the wet weather wildlife. Just look at the detail in the forehead of this cow? You can also see the raindrops come down alongside her. And the fact that she has a mouthful of nature-food adds some action to this photograph. Rainy weather does require wide open apertures and oftentimes higher ISOs. Some photos will be unusable, but the effort is definitely worth it to me! Don’t let a little rain hinder your spirit. Grab your camera gear and get out there anyway! Wear good, warm rain gear and you’ll be able to stay out longer. 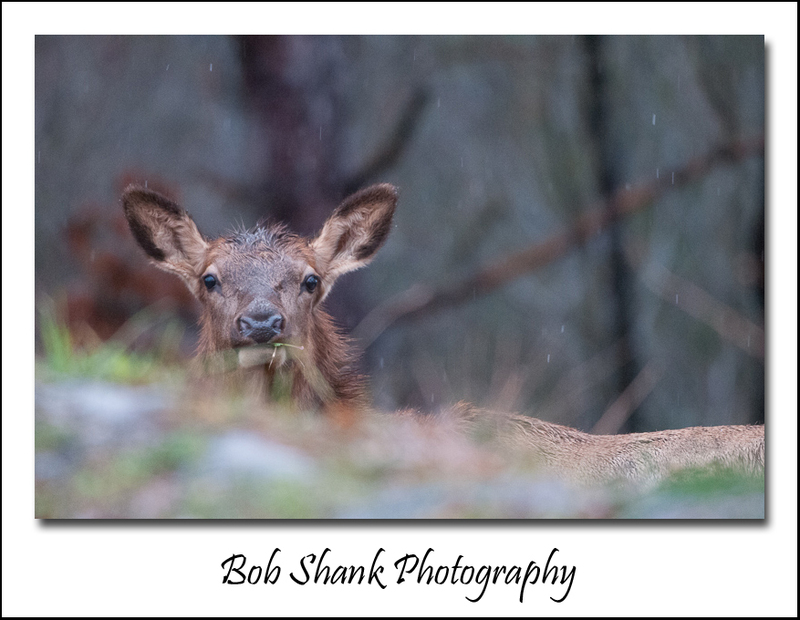 After all, the wildlife do not seem to mind the wet weather and they present perfect subjects if you take the time and energy to be out there with them!